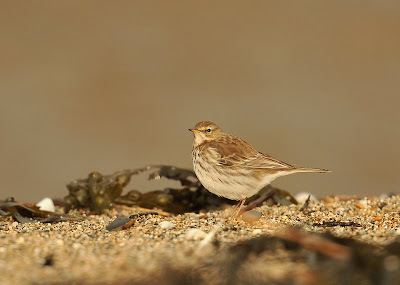 This Water Pipit has been present on the seaweed near the Red River at Marazion since late autumn. 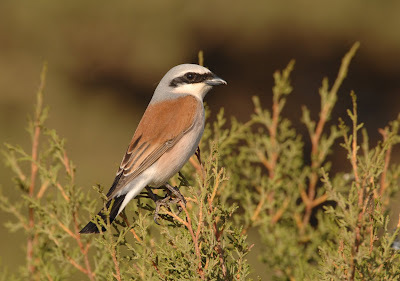 This site is a regular haunt every year but they can be quite tricky to catch up with. The light this morning was exceptional and the montage of shots below even hint of flash being used. Apart from cropping the edges to a more visual size, they are original. 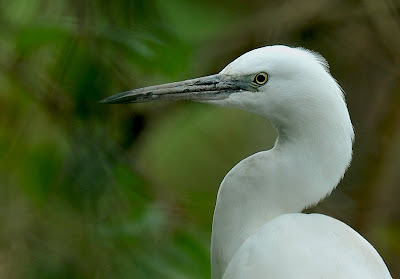 ISO was 400, aperture F/5.6 and shutter speed approached 2000th second. Today is the day-after when the first of the year's big storms hit the county. Land's End recorded the strongest gust of a massive 79 mph. yesterday at 18.00 hrs. That must be hurrican force? 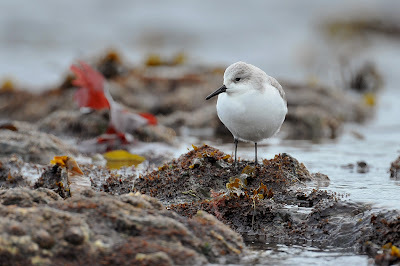 Anyway, the birding story must surely be the influx of Grey Phalaropes not only in Cornwall but across the UK. 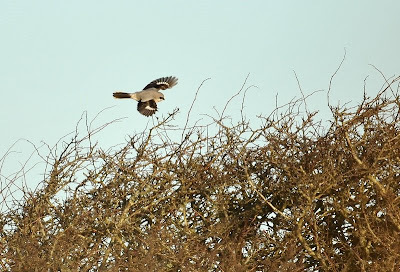 Whilst I tried, I just could not get close enough to photo one! 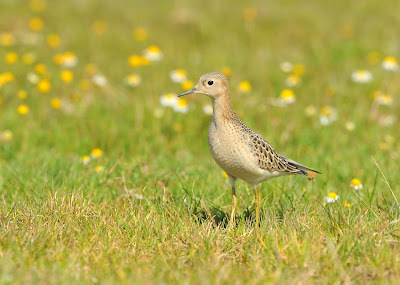 I saw just one today at St. Ives Island at half a mile range. The five together at Red River yesterday had evidently disappeared. 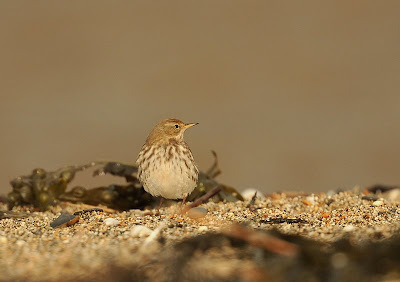 The shots below typify birds of the coast but sadly no Grey Phals. 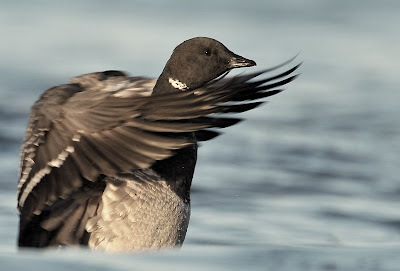 The light was stunning - consequently, the shutter speed reached a high of 2500th second at f/5.6, perfect for moving birds. I dropped the exposure down to -0.7. Some of the images appear quite small but they were taken at distances of up to several hundred yards. 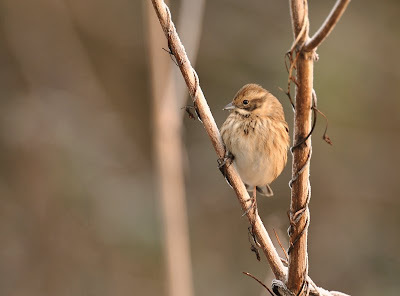 I used the TC on the 600mm lens and also used the in-camera high speed crop function, effectively doubling the focal length to nearly 1700mm ! 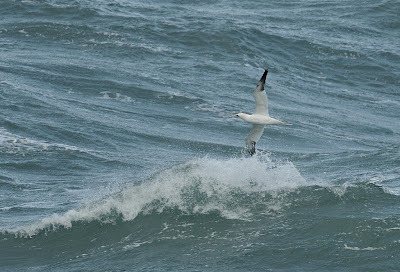 The two images below of this adult Gannet moving past St Ives today catches some nice guano sequences, a benefit of the high shutter speed. 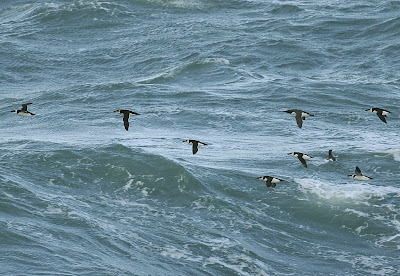 The majority of auks in the image below are Razorbill, with one Guillemot near the rear. 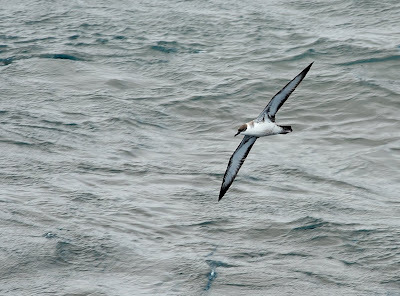 The smaller auk is actually a lone bird swimming in the sea at a different distance to the flying birds. 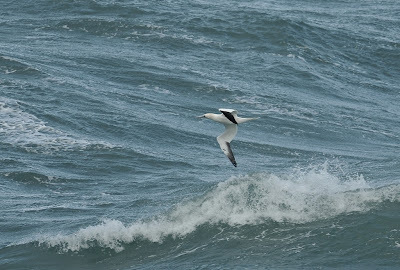 The joint CBWPS and RSPB field trip to the Gerrans Bay area was viewed by the 20 present as successful today. 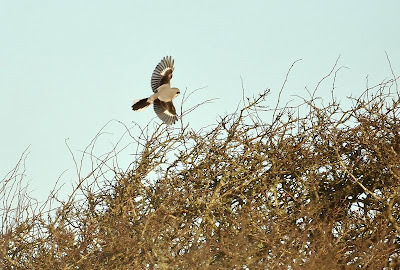 Despite the gale force wind, regsitered at 32mph, several notable species were logged. The highlight was a Long-tailed Duck at Pendower beach with a supporting cast of five Black-throated Diver and one Red-throated Diver. 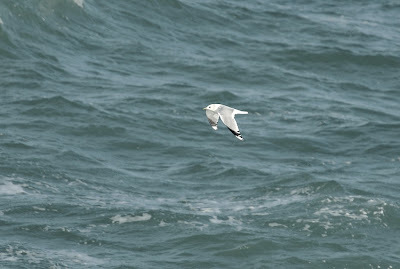 A short drive to Portscatho in a ten car convoy at least gave some respite from the strong wind. 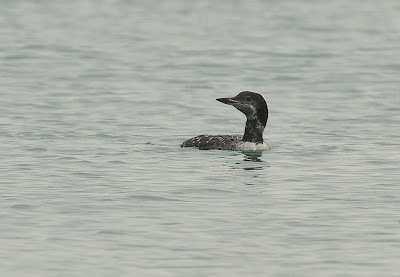 In pleasant, sheltered conditions, we logged at least seven Slavonian Grebe, two more Black-throated Divers, three Med Gulls and a juv. 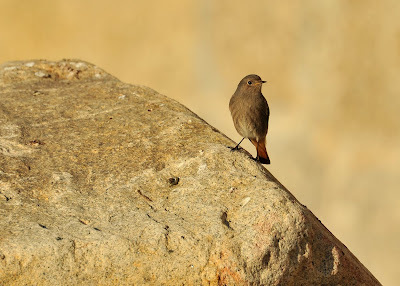 Black Redstart. 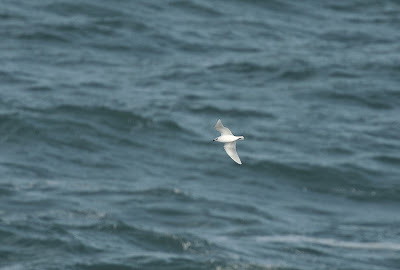 The final leg of the trip was once again birding in high wind at Turnaware Bar, Carrick Roads. In a location normally noted for high numbers of wintering duck, we managed just three Red-breasted Mergansers and a close-ish Great Northern. Sadly the weather stopped play at 12.30 but didn't dampen our spirits in what was a very enjoyable morning in very pleasant company. 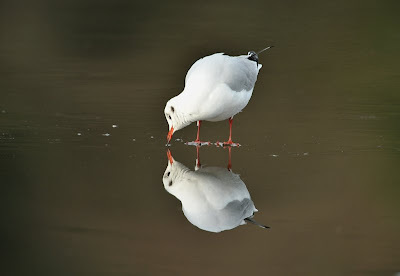 A mixed bag of images today but the underlying theme is definitly frost and ice - I cannot remember the last time the reservoirs and lakes froze over. The morning started off at -2.5 degrees but generally warmed up later in the day. The image below at about 7.45 this morning is the southern cut off with the feeding station in the left corner. The colour of the sunrise is totally original and unchanged...stunning. 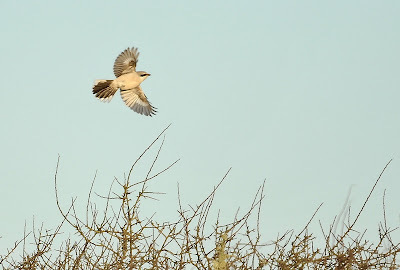 I managed to eventually see the illusive Great Grey Shrike at first light this morning. 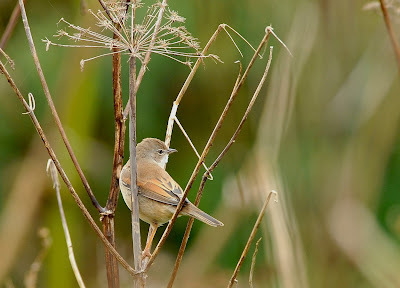 This was my fifth visit to the dam since my mate Moldy found it before Christmas. 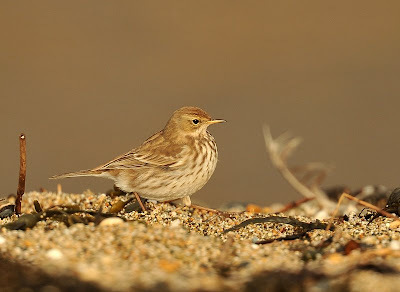 What a fantastic show it gave us in perfect conditions with the low morning sun behind me...chasing Blackbirds and thrushes for its breakfast! 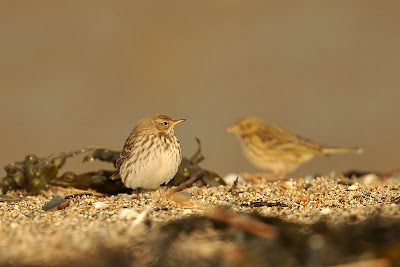 Its main target was a Blackbird which was hounded mercilessly, though it did have a go at Redwings and Song Thrushes. 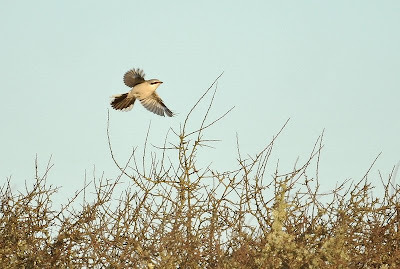 The shrike was last seen diving into a deep hawthorn copse. 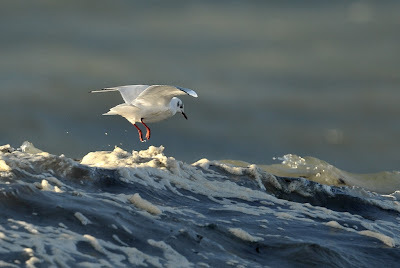 The flight shots were taken with the 600mm lens and 1.4xTC on the tripod. Somehow I managed to keep the auto servo focus locked onto the flying bird and kept my finger on the shutter in a continual burst. 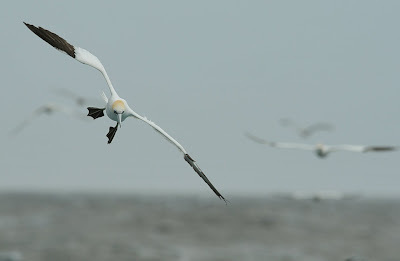 Flight shots are difficult at the best of times so I was pleased when I viewed these on the lappy. ISO was 400 and the shutter speed reached 1000th second. Ideal. 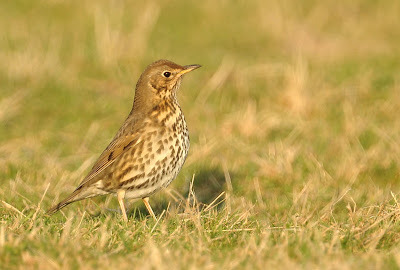 Song Thrush in the same field as the shrike looking a bit pensive as the shrike chases thrushes this morning. An image of the dam at about 8am this morning. 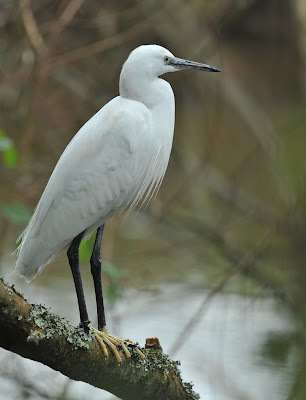 I stumbled across this Little Egret which was fishing from the tree bough above the stream. 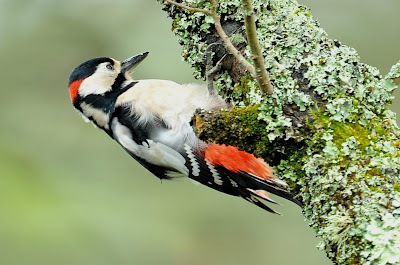 It occasionally dropped down to the stream and then reappear on a different part of the branch. 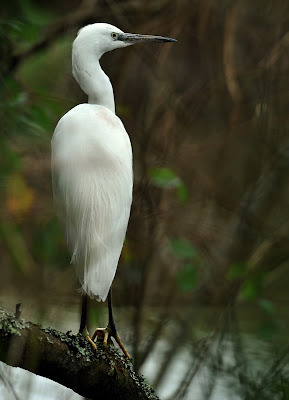 It was no more than 15 yards away as I photographed it through the heavy foliage. 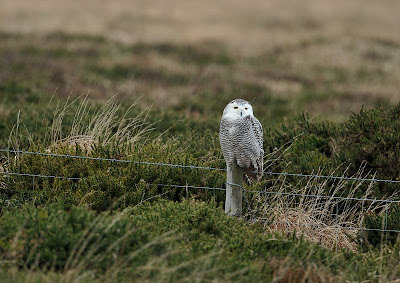 The ISO was set to 640 to raise the shutter speed as the conditions were quite dull. Aperture was wide open at F/5.6, hence the suffused background. 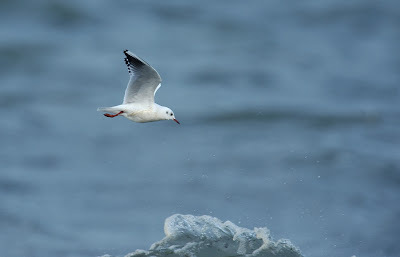 I used the 600mm lens with 1.4x TC giving a total focal length of 840mm. The image below is a heavily cropped version of the full size image just below it. 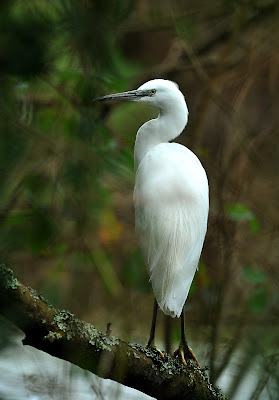 Cornwall Bird Watching & Preservation Society Field Trip. This is a reminder or an invitation: Sunday 11th January starting at 9am and finishing at approx 12.30pm. Meet at Pendower Beach car park (on the Portscatho side of Pendower). Lets hope that there is no wind on Sunday! 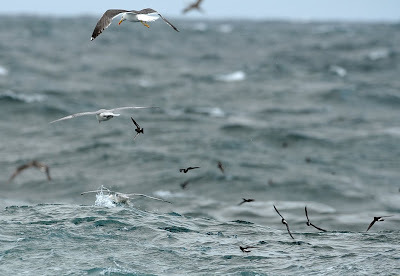 If not, then we have got a very high chance of seeing some interesting wintering divers, sea duck, sawbills and grebes at reasonably close viewing range. A telescope is desirable though I will be bringing mine to share. Warm clothing is essential as we will be spending some time stationary. There will be limited walking involved as I know all the best car parks nearby. Everyone is welcome from beginners to BBRC committee members. Looking through other blogs online, it occurred to me that it might be a good idea to summarise some of my best images of the year. 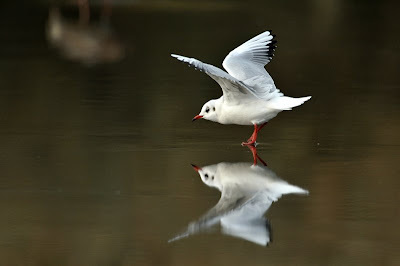 All photos are personal and aspects appeal to some and maybe not others. All of them though, bring back fond memories of the day and the build up to capturing the images. 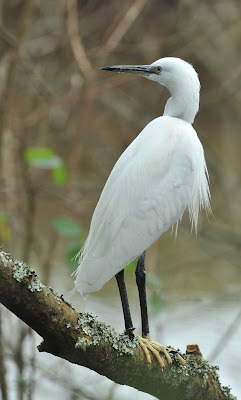 A few shots are repeats already shown on this blog but others are previously unseen. 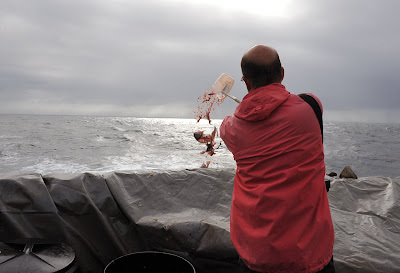 The images below were taken on the August Scillonian Pelagic. The image of Martin Elliott chumming the bait is a key part of the annual event. 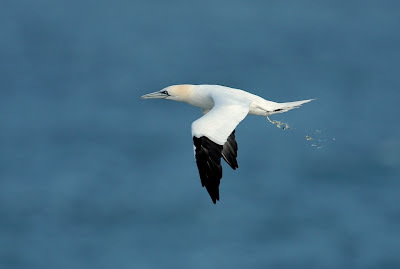 The Gannets following the boat, close Great Shearwaters and hundreds of tiny Storm Petrels were the main highlights. 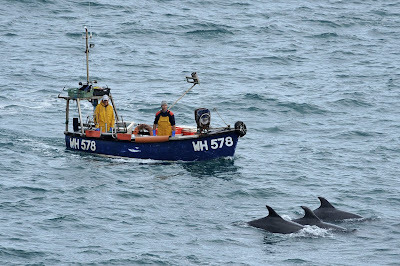 Fishermen at St Ives being shadowed by Bottlenose Dolphins on the approach to the harbour. 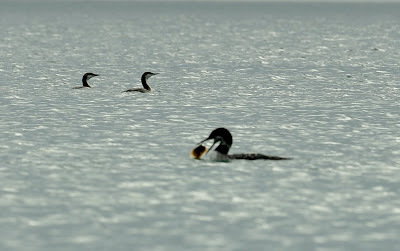 Black-throated Divers looking on enviously as a Great Northern tackles a flat fish at Rosevine. 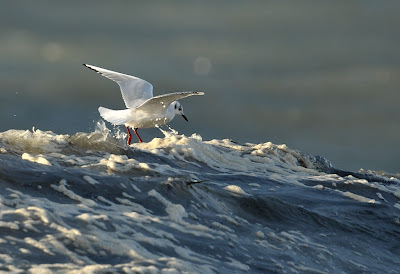 My tripod was about six inches into the surf to obtain this shot. 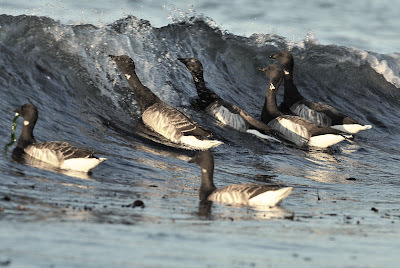 Surfing Brent Geese off Marazion Beach. 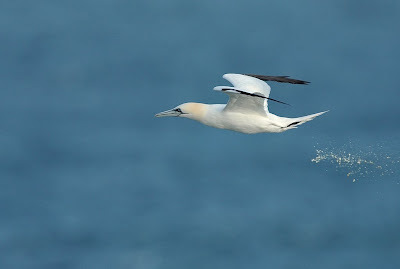 A total of nine spent the autumn and winter here, sometimes very close inshore. 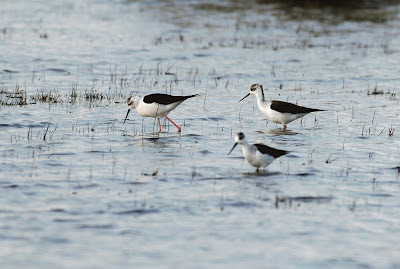 Three Black-winged Stilts were an unexpected find at Wiindmill Farm on the Lizard in April. I waited all evening to eventually compose three feeding together. 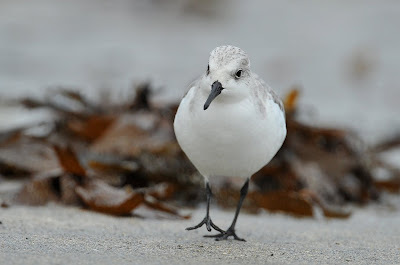 The Buff-breasted Sandpiper shots are one of my overall favourites of the year. 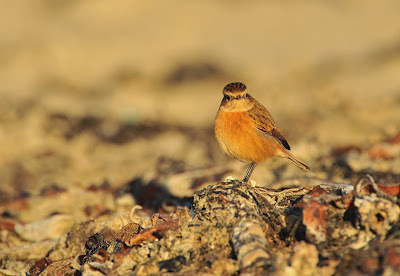 Stunning September light and a very confiding bird. Two were present but never close enough together. 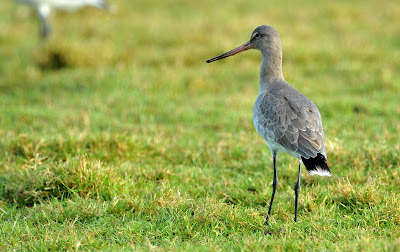 Black-tailed Godwit at Bowling Green Marsh in December. 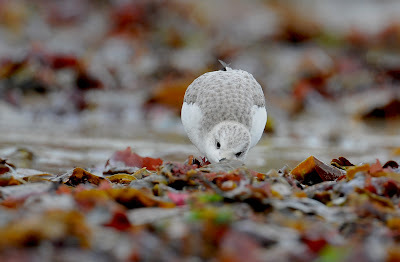 Sanderling at Portscatho beach completely oblivious to my presence. 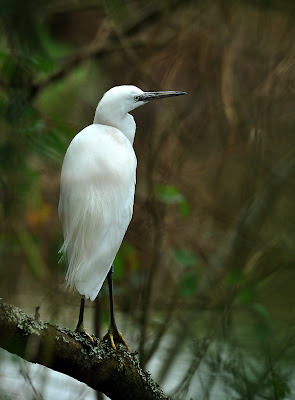 I spent about two hours with this individual in December. 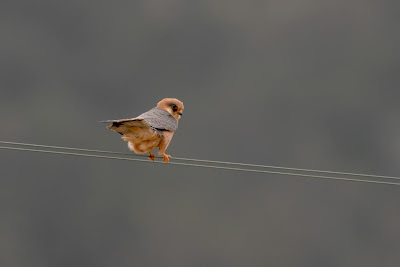 Female Red-footed Falcon in April, perched and fed in tall grass about 20 yards from the main road in Cyprus. Common Buzzard at Stithians Dam in December. 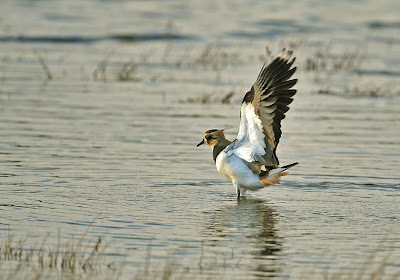 Lapwing taken in very dull light late on an October evening. 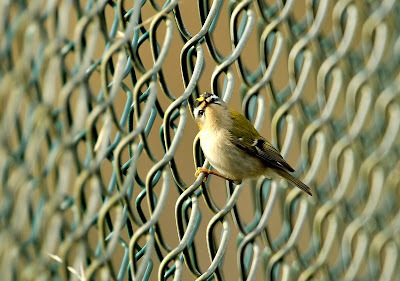 Adobe CS3 corrections make the image appear to be taken in full day light! 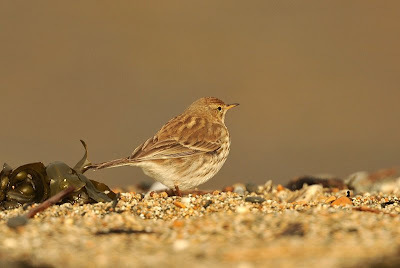 The bird of the year for me in December and one that I never dreamt of seeing in Cornwall. 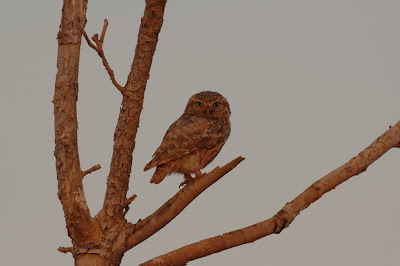 A delightful image in early April, pre sunrise light, catching a lovely reddish glow. 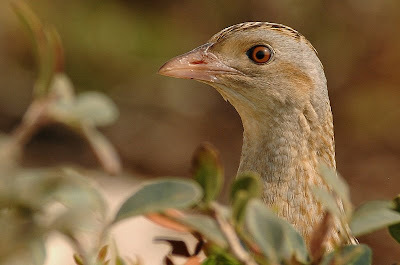 An unbelievablely close and confiding Corncrake, utterly oblivious to our presence. 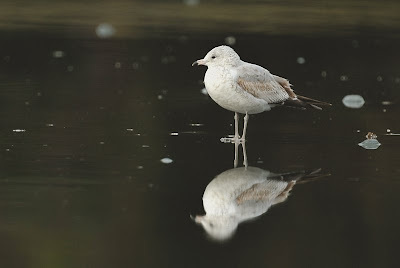 It was completely confident with its own camouflage in its own environment. 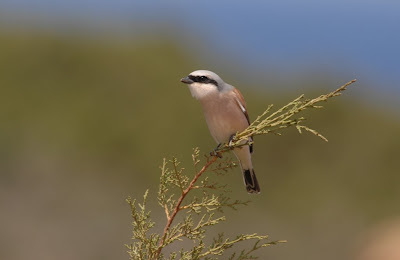 The commonest shrike on Cyprus in April with over 30 individuals in the immediate area! The images below were taken from the car window. 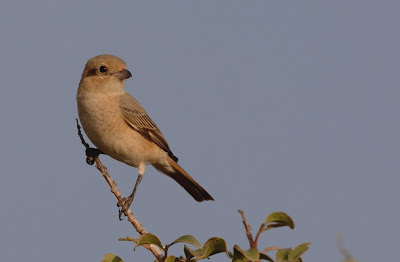 Isabelline Shrike posed for the camera in April. 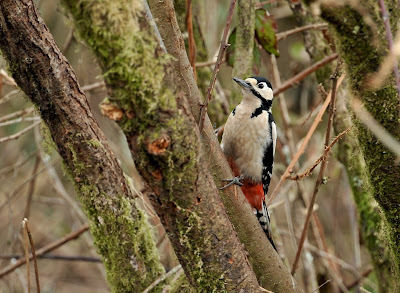 Great Spotted Woodpecker shows no fear as it fed on a dead willow tree alongside the hide at Stithians Reservoir this autumn. Arguably the best composed, focussed and exposed shot of the year. 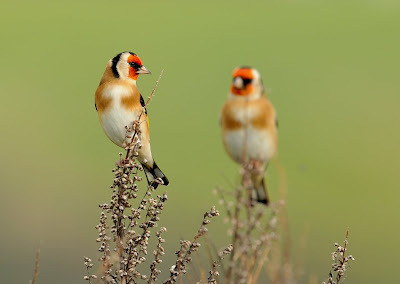 The Dutch birders loved it and gave it six nominations (Birdpix.nl). 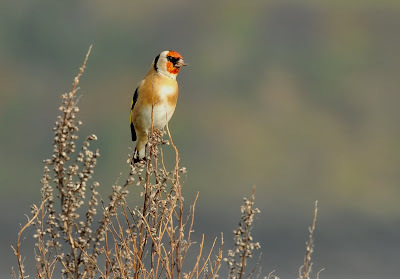 I was pleased as well, especially as it was a pure fluke that these Goldfinches landed in front of me and fed for about a minute on the seed heads. 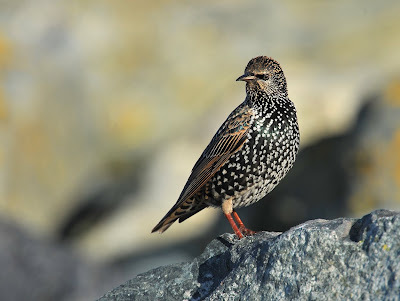 The image of Starling below, in good light can produce stunning pictures...this was taken early in the morning at Little London beach, Mounts Bay in December. Black Redstart at Marazion also taken early in the morning at Little London beach, Mounts Bay in December. 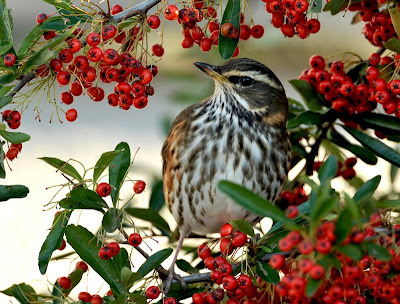 Winter thrushes feeding without concern are always a delight in winter. 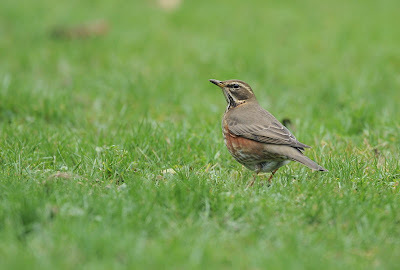 This stunning Redwing was no exception. 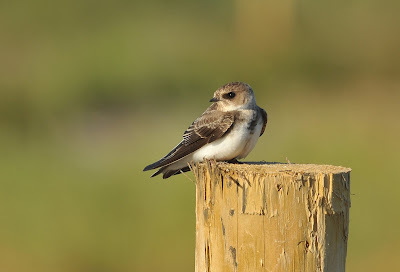 St Gothians in July was the best place to see close up Sand Martins. 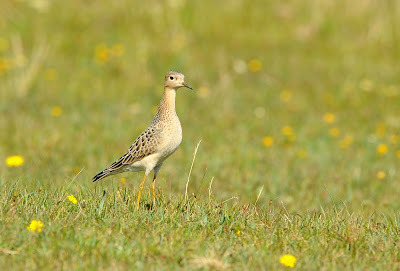 About 40 pairs breed here. 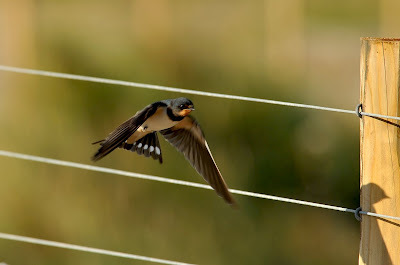 Swallows are also attracted by the activity. 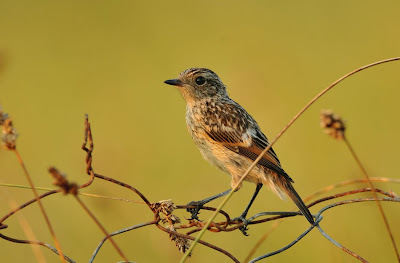 I liked the image below not only because flight shots are difficult, but this one captured its own shadow on the post...fluke or what? Common Whitehtroat at Pendeen in September presented itself whilst waiting for the illusive Greenish Warbler. 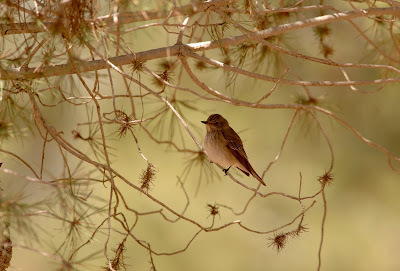 One of my favourite images of the year because the April backlight does something special to the firs around the Spotted Flycatcher. 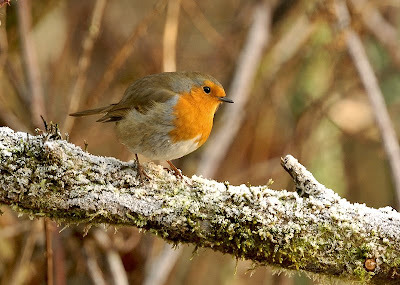 One of Cornwall's most photogenic residents. 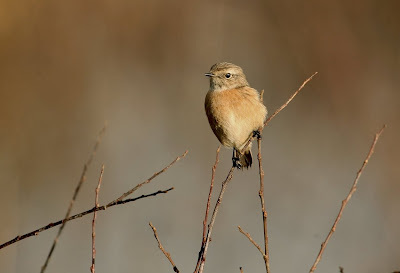 Stonechats vary considerably in differing light conditions, such as below. 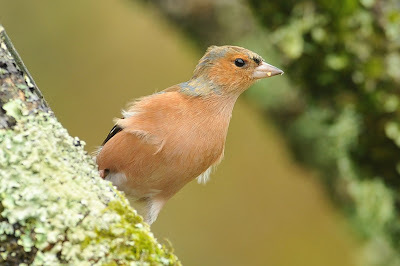 Whilst a common bird, the Chaffinch still retains great character and is quite difficult to photograph. Needless to say, this shot was taken from a hide at about five yards range.